Please choose an episode to watch by Clicking on the episode button below. 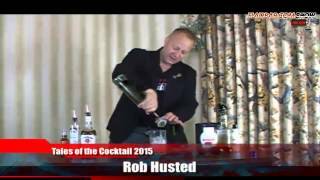 Flairbar.com Show with Rob Husted behind the bar @ Tales of the Cocktail 2015! 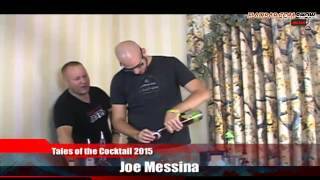 Flairbar.com Show with Joe Messina behind the bar @ Tales of the Cocktail 2015! 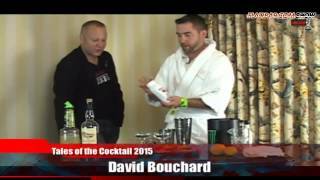 Flairbar.com Show with David Bouchard behind the bar @ Tales of the Cocktail 2015! 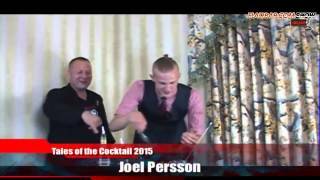 Flairbar.com Show with Joel Persson behind the bar @ Tales of the Cocktail 2015! 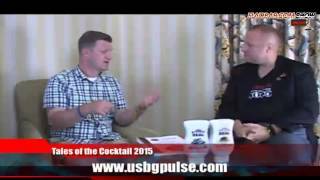 Flairbar.com Show with Joel Persson @ Tales of the Cocktail 2015! 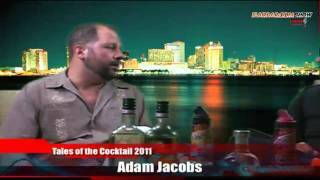 Flairbar.com Show with Dianna Greene Cowan & Erin Davey behind the bar @ TOTC 2015! 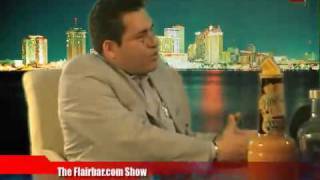 Flairbar.com Show with Dianna Greene Cowan & Jaren Singh @ Tales of the Cocktail 2015! 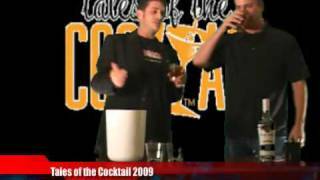 Flairbar.com Show with Tealye Long behind the bar @ Tales of the Cocktail 2015! 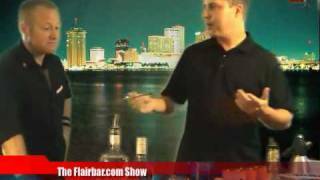 Flairbar.com Show with Tealye Long @ Tales of the Cocktail 2015! 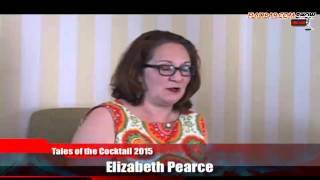 Flairbar.com Show with Elizabeth Pearce @ Tales of the Cocktail 2015! 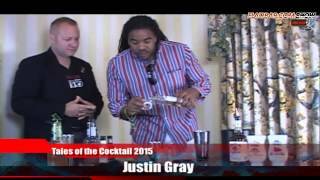 Flairbar.com Show with Justin C Gray behind the bar @ Tales of the Cocktail 2015! 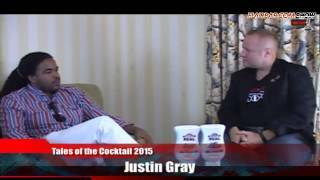 Flairbar.com Show with Justin C Gray @ Tales of the Cocktail 2015! 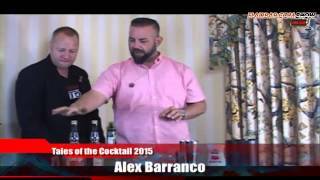 Flairbar.com Show with Alex Barranco behind the bar @ Tales of the Cocktail 2015! 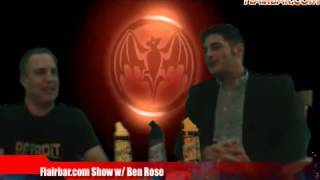 Flairbar.com Show with Alex Barranco @ Tales of the Cocktail 2015! 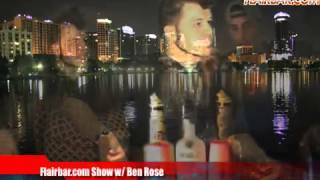 Flairbar.com Show with Annie Blake @ Tales of the Cocktail 2015! 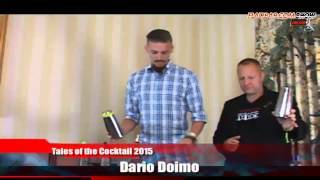 Flairbar.com Show with Dario Doimo behind the bar @ Tales of the Cocktail 2015! 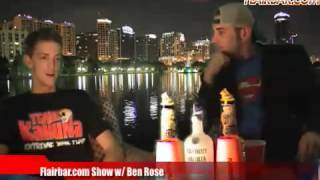 Flairbar.com Show with Dario Doimo @ Tales of the Cocktail 2015! 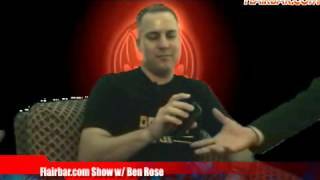 Flairbar.com Show with Jeff Rogers @ Tales of the Cocktail 2015 Part #2! 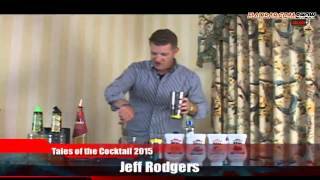 Flairbar.com Show with Jeff Rogers behind the bar @ Tales of the Cocktail 2015! 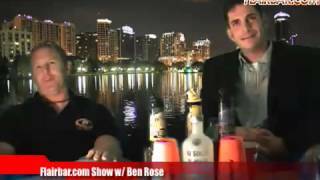 Flairbar.com Show with Jeff Rogers @ Tales of the Cocktail 2015! 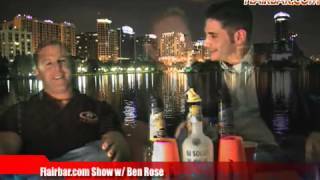 Flairbar.com Show with Lynn House behind the bar @ Tales of the Cocktail 2015! 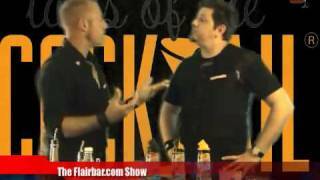 Flairbar.com Show with Lynn House @ Tales of the Cocktail 2015! 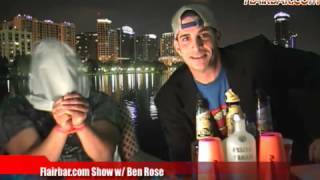 Flairbar.com Show with Travis Kuhn @ Tales of the Cocktail 2014! 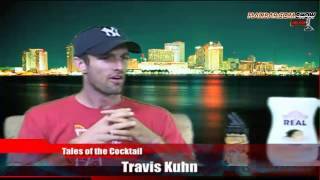 Flairbar.com Show with Travis Kuhn behind the bar @ Tales of the Cocktail 2014! 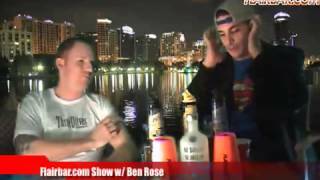 Flairbar.com Show with Rob Turek behind the bar @ Tales of the Cocktail 2014! 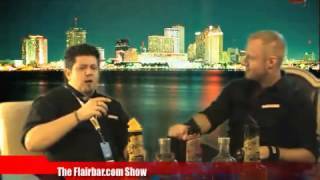 Flairbar.com Show with Rob Turek @ Tales of the Cocktail 2014! 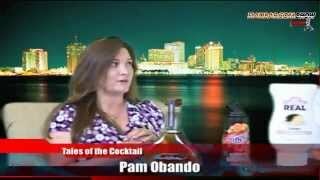 Flairbar.com Show with Pam Obando @ Tales of the Cocktail 2014! 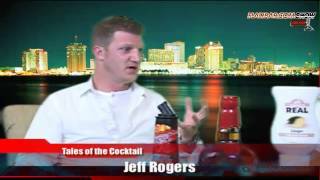 Flairbar.com Show with Jeff Rodgers behind the bar @ Tales of the Cocktail 2014! 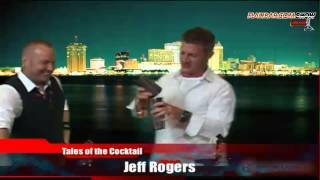 Flairbar.com Show with Jeff Rodgers @ Tales of the Cocktail 2014! Flairbar.com Show with Dianna Green Cowan behind the bar @ Tales of the Cocktail 2014! 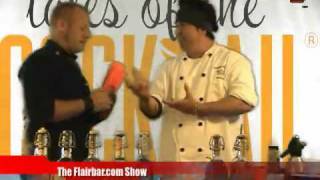 Flairbar.com Show with Dianna Green Cowan @ Tales of the Cocktail 2014! 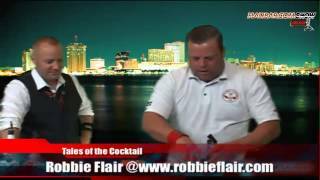 Flairbar.com Show with Bobby G behind the bar @ Tales of the Cocktail 2014! 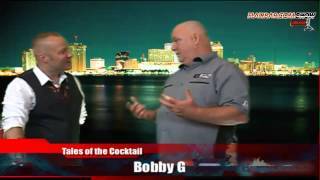 Flairbar.com Show with Bobby G @ Tales of the Cocktail 2014! 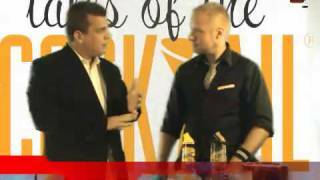 Flairbar.com Show with Anthony Alba behind the bar @ Tales of the Cocktail 2011! 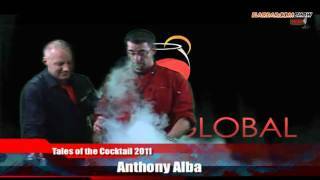 Flairbar.com Show with Anthony Alba @ Tales of the Cocktail 2011! 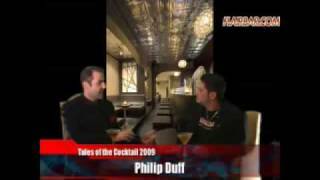 Flairbar.com Show with Philip Duff @ Tales of the Cocktail 2011! 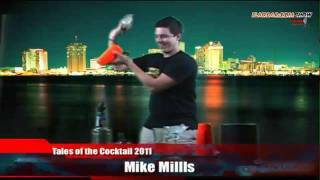 Flairbar.com Show with Mike Mills behind the bar @ Tales of the Cocktail 2011! 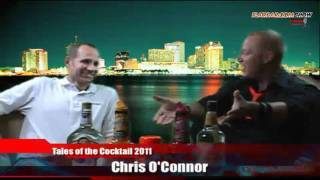 Flairbar.com Show with Mike Mills @ Tales of the Cocktail 2011! 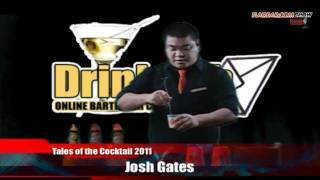 Flairbar.com Show with Josh Gates behind the bar @ Tales of the Cocktail 2011! 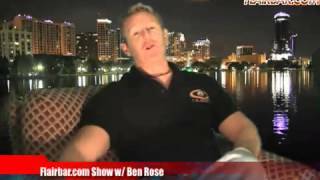 Flairbar.com Show with Josh Gates @ Tales of the Cocktail 2011! Flairbar.com Show with Ava Kopieczek behind the bar @ Tales of the Cocktail 2011! 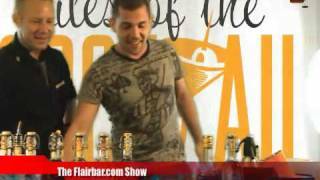 Flairbar.com Show with Ava Kopieczek @ Tales of the Cocktail 2011! 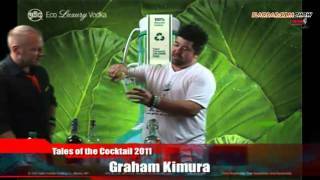 Flairbar.com Show with Graham Kimura behind the bar @ Tales of the Cocktail 2011! 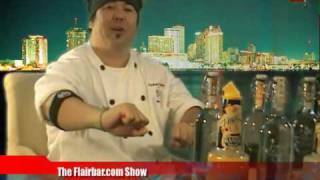 Flairbar.com Show with Graham Kimura @ Tales of the Cocktail 2011! 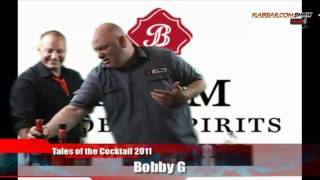 Flairbar.com Show with Bobby G behind the bar @ Tales of the Cocktail 2011! 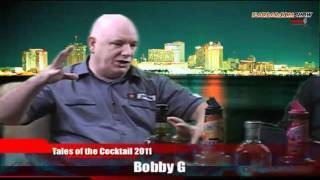 Flairbar.com Show with Bobby G @ Tales of the Cocktail 2011! 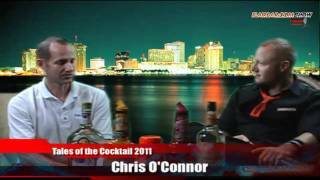 Flairbar.com Show with Chris O'Connor behind the bar @ Tales of the Cocktail 2011! 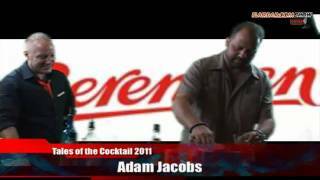 Flairbar.com Show with Adam Jacobs behind the bar @ Tales of the Cocktail 2011! 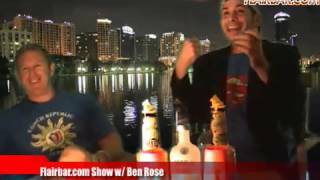 Flairbar.com Show with Adam Jacobs @ Tales of the Cocktail 2011! Flairbar.com Show with Gabe Urrutia behind the bar @ Tales of the Cocktail 2011! 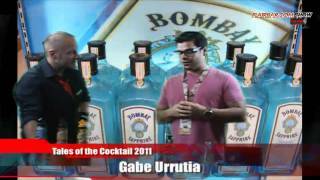 Flairbar.com Show with Gabe Urrutia @ Tales of the Cocktail 2011! 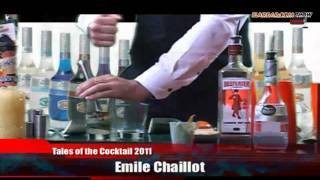 Flairbar.com Show with Emile Chaillot behind the bar @ Tales of the Cocktail 2011! 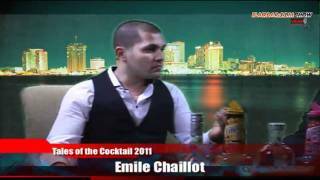 Flairbar.com Show with Emile Chaillot @ Tales of the Cocktail 2011! 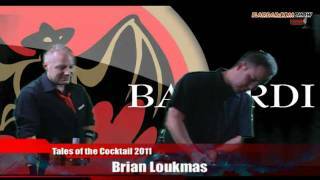 Flairbar.com Show with Brian Loukmas behind the bar @ Tales of the Cocktail 2011! 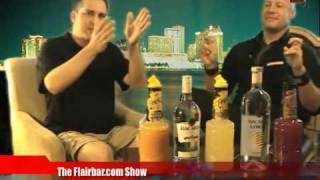 Flairbar.com Show with Brian Loukmas @ Tales of the Cocktail 2011! 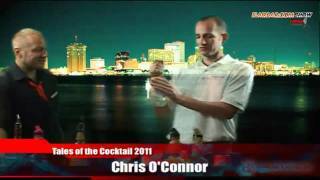 Flairbar.com Show with Dean Serneels behind the bar @ Tales of the Cocktail 2011! 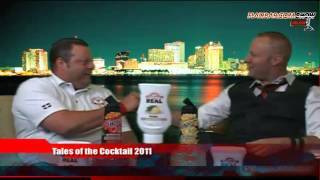 Flairbar.com Show with Dean Serneels @ Tales of the Cocktail 2011! Flairbar.com Show with Simon Ford behind the bar @ Tales of the Cocktail 2010! 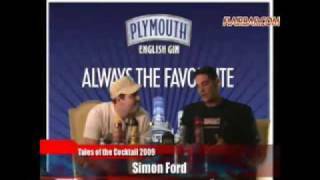 Flairbar.com Show with Simon Ford @ Tales of the Cocktail 2010! Flairbar.com Show with Cesar Romero behind the bar @ Tales of the Cocktail 2010! 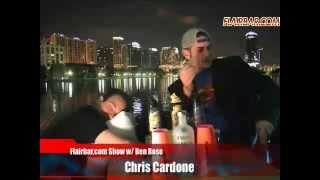 Flairbar.com Show with Cesar Romero @ Tales of the Cocktail 2010! 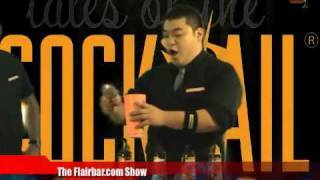 Flairbar.com Show with Graham Kimura behind the bar @ Tales of the Cocktail 2010! 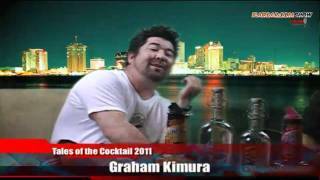 Flairbar.com Show with Graham Kimura @ Tales of the Cocktail 2010! 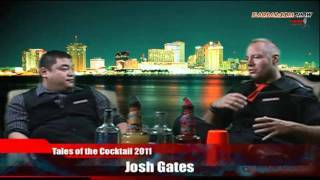 Flairbar.com Show with Josh Gates behind the bar @ Tales of the Cocktail 2010! 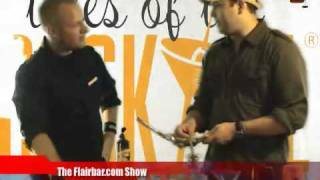 Flairbar.com Show with Josh Gates @ Tales of the Cocktail 2010! Flairbar.com Show with Ava Kopieczek behind the bar @ Tales of the Cocktail 2010! Flairbar.com Show waiting for the elevator @ Tales of the Cocktail 2010! Flairbar.com Show with Dean Serneels behind the bar @ Tales of the Cocktail 2010! 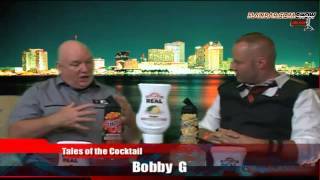 Flairbar.com Show with Dean Serneels @ Tales of the Cocktail 2010! Flairbar.com Show with Emile Chaillot behind the bar @ Tales of the Cocktail 2010! Flairbar.com Show with Emile Chaillot @ Tales of the Cocktail 2010! Flairbar.com Show with Brian Loukmas behind the bar @ Tales of the Cocktail 2010! 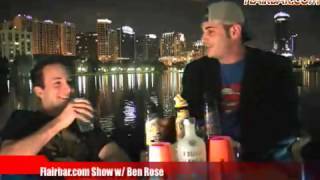 Flairbar.com Show with Brian Loukmas @ Tales of the Cocktail 2010! Flairbar.com Show with Philip Raimondo behind the bar @ Tales of the Cocktail 2010! 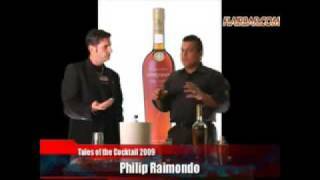 Flairbar.com Show with Philip Raimondo @ Tales of the Cocktail 2010! 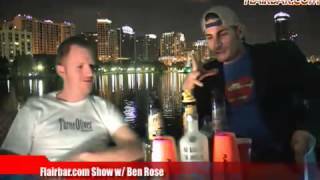 Flairbar.com Show with Dario Doimo @ Quest 2009! Flairbar.com Show with Simon Ford Behind the Bar @ Tales of the Cocktail 2009! 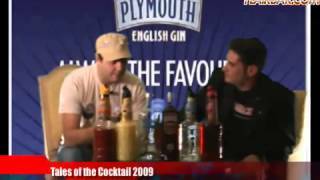 Flairbar.com Show with Philip Raimondo @ Tales of the Cocktail 2009! 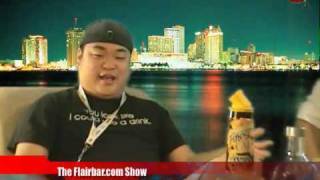 Flairbar.com Show with Graham Kimura @ Tales of the Cocktail 2009! 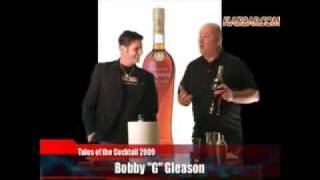 Flairbar.com Show with Bobby "G" Gleason @ Tales of the Cocktail 2009! 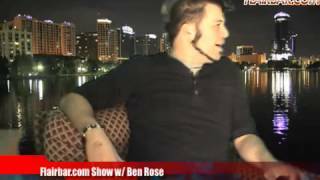 Flairbar.com Show with Brian Loukmas @ Tales of the Cocktail 2009! Flairbar.com Show with Tony Abou" Ganim @ Tales of the Cocktail 2009 Part 2! 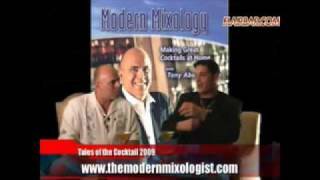 Flairbar.com Show with Tony Abou" Ganim @ Tales of the Cocktail 2009 Part 1!